I know I keep saying this but I really am going to start sharing my weekly meal plan on here more regularly from now on! I’ve barely had time to even scribble my planned meals on a bit of scruffy paper lately but I have a feeling that things are going to get a bit easier around here thanks to a slight change in my hours at work which takes effect this week. I’m going to make a real effort to spend one night a week working on this poor little neglected blog so hopefully, you’ll be seeing more of all sorts of meal planning posts over the next few months. 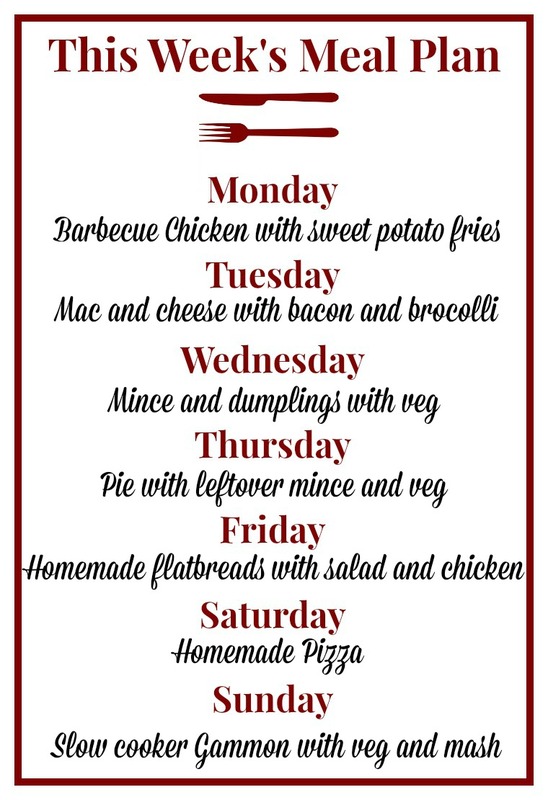 For now though, I’ve at least managed to get an official looking meal plan written for this week…. #WhatsForTeaTonight – Pan Fried Salmon…. Next Post How to build up a recipe bank…..